Our team includes world leaders in collecting and managing acoustic, oceanographic, and remote sensing data. With respect to the static bottom-landers, Phase I lead Bruce Martin (JASCO) has extensive experience designing and deploying complex bottom-landers including vertical and horizontal line arrays that provide excellent acoustic data. JASCO has access to leading acoustic data collection technology that will allow the team to select the best equipment for each project component and is currently collaborating with Dalhousie University on integrating CTD, backscatter, and acoustic data from static bottom-landers to towed arrays – experience that will greatly benefit the ADEON program. Martin’s experience is complemented by the technical expertise of the Lead PI, Dr. Jennifer Miksis-Olds (UNH), who has integrated backscatter measurements with static acoustic measurements for over a decade, and Phase III lead Dr. Kevin Heaney (OASIS) who has successfully gathered horizontal line array data during numerous at-sea missions. Phase II lead, Dr. Joseph Warren (Stony Brook University), has years of field experience with biologic and physical oceanographic data acquisition and analysis from the Atlantic Ocean. Dr. Timothy Moore (UNH) is a leading remote sensing investigator who has worked well with our team members in the past and specializes in the processing of high resolution satellite image data for derivations of biological parameters. Finally the collection of data is of limited value if the data are not managed, standardized, and accessible. Our team is committed to developing a standardized approach to data acquisition, analysis, access and visualization so that the data processing and integration phases of the project led by Dr. Anthony Lyons (UNH) advances our understanding of the contributions from different sources to the spectral, temporal, and spatial complexity of the soundscape. 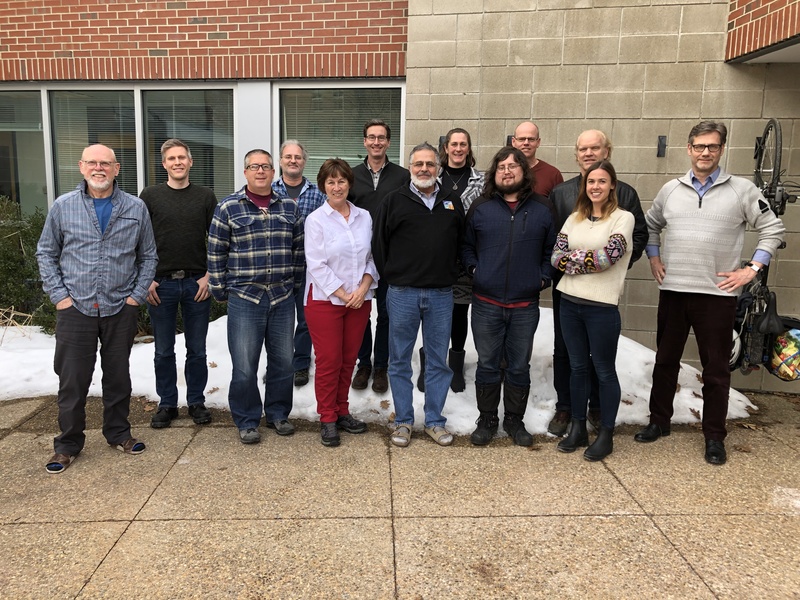 Data Management lead, Patrick Messer, Director of the UNH Research Computing Center, has devoted his career to large project data management, and Standardization lead Michael Ainslie (TNO) has been at the forefront of developing underwater acoustic standards for the international community. Dr. Jennifer L. Miksis-Olds is a Research Professor at the University of New Hampshire holding positions in the School of Marine Science & Ocean Engineering and the Center for Coastal and Ocean Mapping. Her research employs acoustic methodologies to answer biological questions in the marine environment. Her expertise has been demonstrated in research related to animal behavior and communication, the effect of anthropogenic activities on animals and their environment, ocean soundscape monitoring and modelling, and the development of technology to observe animals in their natural environment. Dr. Miksis-Olds serves as a Scientific Advisor to the Sound and Marine Life Joint Industry Programme (International Oil & Gas Producers) which is devoted to the study of effects of sound on marine organisms. Dr. Miksis-Olds has been deploying both active and passive acoustic technology year-round on NOAA moorings in the Bering Sea since 2008. Mr. John Macri is a program manager in the UNH Institute for the study of Earth Oceans and Space (EOS) with 38 years of experience in the design, development and execution of scientific research projects. Most recently he managed the design and development of the FIELDS suite of electric and magnetic field instruments for NASA’s Magnetospheric Multiscale (MMS) mission, a $77.2M contract to UNH. 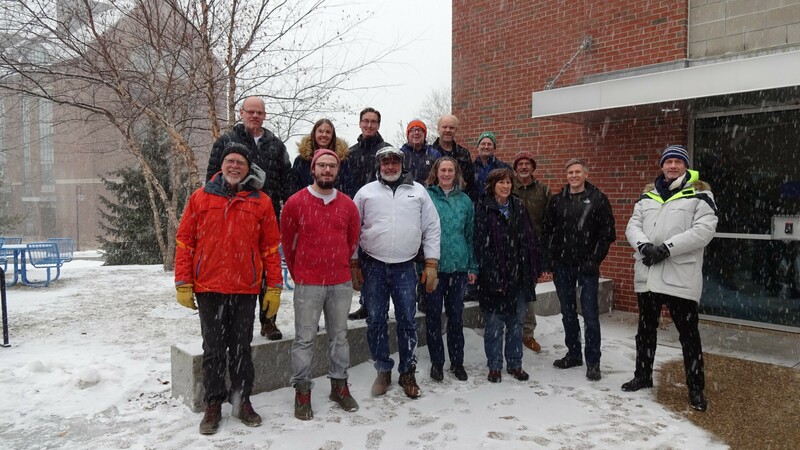 Macri served as the sponsor’s POC and coordinated the activities of more than 30 scientists, engineers, technicians, machinists and support staff at UNH, three subcontracted research groups at other US universities and four European partners contributing to the MMS FIELDS effort. The four MMS satellites were launched in March 2015 and successfully commissioned. Macri currently manages the instrument and science operations activities for MMS FIELDS and for NASA’s Van Allen Probes (VAP) EMFISIS investigation. VAP was launched in 2012. Mr. Patrick Messer has over 30 years of experience in research computing including software development, numerical methods, systems administration and IT security. As director of the Research Computing Center, Mr. Messer has focused on establishing the physical infrastructure and personnel necessary to support the UNH research enterprise beginning with the 2010 renovation of the 2,000 square foot Lenharth Data Center. This investment has enabled reliable support services to PIs for over a petabyte of storage, 300 servers, and high speed networking. In 2013 the data center was further renovated to house a CRAY supercomputer acquired through a 2012 NSF MRI award to UNH (# PHY-1229408), and in 2015 the data center became a 10Gbps node on the Science DMZ network (NSF 1340972). Under Mr. Messer’s direction, a central shared HPC cluster was added to the data center in 2016 to further extend UNH’s research computational capacity. 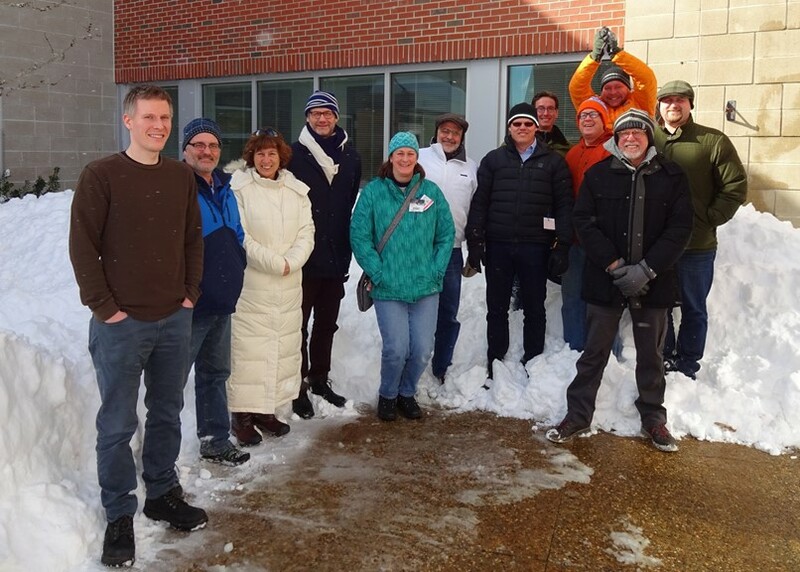 Mr. Messer was instrumental in establishing the UNH Data Management Services Task Force that is collectively led by the Research Office, Central IT and the UNH Library. Most recently an NSF proposal for a CyberInfrastructure Engineer was awarded (NSF ACI-1541430) to oversee the data center facilities and champion the campus CyberInfrastructure Plan. Ms. Theresa Ridgeway has over 20 years experience working in the U.S. and abroad in life sciences and engineering ventures involving academia, industry, state and federal agencies, and the public. Terry specializes in project management and research collaborations including research planning and implementation, technical and grants writing, product QA/QC, and protocol development for R&D compliance. At the University of New Hampshire, she was involved in the establishment of the Center to Advance Molecular Interaction Science as well as the Non-lethal Technology Innovation Center in partnership with the Non-lethal Weapons Directorate in Quantico, VA. She was formerly CEO of FirstMile, Inc., a company involved with project management and research collaborations between small businesses and the military. Recently, she coordinated research activities, grant writing, product QA/QC tracking and protocol development for R&D compliance for a New Hampshire business involved in the development and marketing of "green" chemistries. Theresa now works with the UNH Institute for the Study of Earth, Oceans, and Space and the UNH Research Office’s Research Computing Center as a program manager. Terry is serving as the Data Manager for the ADEON project. Mr. Bruce Martin is JASCO’s Applied Sciences Manager, responsible for the design, implementation, and analysis of acoustic programs for baseline studies and measurements of the effects of man-made sources on the soundscape. 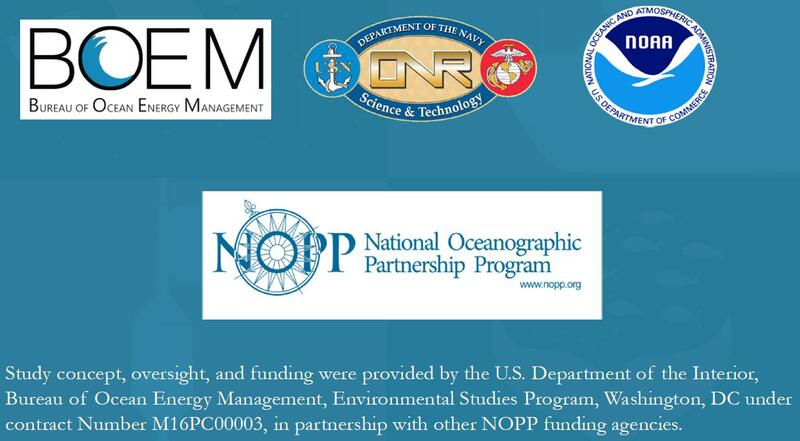 Recent projects have included the Chukchi Sea acoustic monitoring project (2007-2016), Tappan Zee River baseline acoustic monitoring (Martin and Popper 2016), Pile Driving Demonstration and Production Monitoring projects (2010-2014), as well as the Outer Continental Shelf Acoustic Monitoring project for BOEM (2009-2014). Bruce is the Primary Investigator for a study of the marine mammal diversity and effects of human activity on Canada’s east coast that has deployed 20 acoustic recorders identical to the ones proposed for ADEON for a two-year program. ADEON will leverage the tools developed in these programs. Bruce is a PhD candidate in Oceanography at Dalhousie University where he is developing automated techniques for quantifying the contribution to the soundscape from natural, anthropogenic, and biologic sources. Dr. Joseph D. Warren is an associate professor (with tenure) in the School of Marine and Atmospheric Sciences at Stony Brook University. His research focuses on the use of active acoustics to study the distribution and abundance of nekton and zooplankton in marine and freshwater systems, as well as the bottom-up and top-down processes that affect these distributions. In addition to field surveys, his research interests include: improving the accuracy of acoustic scattering models; use of passive acoustics to study fish, mammal, and invertebrate ecology; and predator-prey (fish/zooplankton and marine mammals/seabirds/pinniped) dynamics. He has conducted acoustic surveys for more than two decades from vessels ranging from rowboats to 300 ft ice-breakers and led research projects throughout the world from the lakes of the Sierra Nevada mountains to the coastal waters of New York City to the coral reefs of Jamaica to the Western Antarctic Peninsula. Dr. Kevin Heaney has extensive experience in ocean acoustic propagation and modeling, optimal oceanographic sampling and data-assimilation, geo-acoustic inversion, adaptive sonar signal processing and data analysis. He has worked on a variety programs, including long-range ocean acoustic tomography, geo-acoustic inversion and rapid environmental characterization, effects of internal waves on signal coherence. Dr. Heaney has successfully transitioned algorithms to NAVOCEANO, NAVSEA and CNMOC. Dr. Heaney has been co-chief scientist on two ocean acoustic research cruises conducted by ONR. He also has significant experience in adaptive signal processing from both a modeling and an experimental perspective. Dr. Anthony P. Lyons is a Research Professor at the Center for Coastal and Ocean Mapping and Affiliate Faculty in the Ocean Engineering and Oceanography Programs at the University of New Hampshire, Durham. His research projects have included studies of shallow-water acoustic propagation, acoustic interaction with the seaﬂoor, and high-resolution characterization of seaﬂoor sediments. After receiving his PhD in Oceanography from Texas A&M University in 1995, Dr. Lyons worked in the Fine-Scale Acoustics and Oceanography Group at the SACLANT Undersea Research Centre, La Spezia, Italy, from 1995 to 2000. Previous to taking his position at the University of New Hampshire, Dr. Lyons was a Senior Scientist at the Applied Research Laboratory at Penn State and a Professor of Acoustics in Penn State’s Graduate Program in Acoustics. Dr. Lyons also worked for short periods in 2008 and 2014 for the US Office of Naval Research Global. Dr. Michael Ainslie is a Senior Scientist at TNO (Netherlands) and Visiting Professor at the Institute of Sound and Vibration Research, University of Southampton (UK). He holds degrees in physics (Imperial College, 1981) and mathematics (Un. Cambridge, 2011), and a PhD in seabed acoustics (Un. Southampton, 1991). He is author of the book Principles of Sonar Performance Modeling (Springer, 2010), and his research interests include sonar performance modeling and effects of sound on aquatic life. He is Convener of the ISO Working Group ISO/TC 43/SC 3/WG 2 (Underwater Acoustical Terminology), and a member of the ANSI Working Group ANSI/S 3/WG73 (Bioacoustical Terminology). Dr. Elliott Hazen (Research Ecologist with NOAA’s SWFSC) has served as a PI or Co-I on numerous grants using oceanographic, prey, and predator data to better understand distribution, ecology, and climate effects on marine ecosystems. His current research includes foraging ecology of rorqual whales (Humpback whales in Antarctica and the Gulf of Maine, Fin and Blue whales in the Southern California Bight), spatial ecology of top predators in the Pacific Ocean, climate change effects on marine top predators and their ecosystems, and using ecological data to inform Integrated Ecosystem Assessments, a tool for ecosystem based management of US waters. To accomplish these goals, he use statistical techniques, fisheries acoustics, survey data, biologging tags, and spatial models to examine how species use their environment, with a particular focus on highly migratory pelagic predators (marine mammals, seabirds, fish, and turtles). He has served as Co-I including running habitat models in a predictive mode for NASA’s WhaleWatch project (WhaleWatch: Using satellite telemetry to provide near real-time predictions of whale occurrence in the CCS to reduce anthropogenic impacts) and its recent publication. He has served as a Co-I and has headed the analysis team for NASA’s EcoCast project (EcoCast: Improving Ecological and Economic Sustainability of Marine Fisheries Using Oceanographic Data). 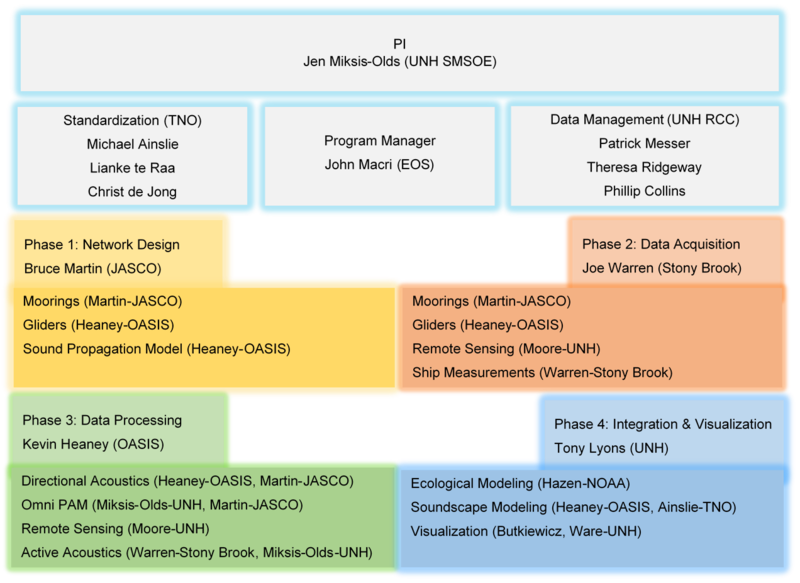 In these roles, he has worked with multiple oceanographers and ecologists to both fit habitat models and also to operationalize predictive models for use in management. In addition, he is a Co-I on Monterey Bay’s MBON project which is focusing on using NOAA cruise data and novel eDNA techniques to assess biodiversity patterns in Monterey Bay. Dr. Colin Ware’s expertise lies in the development of perceptually and cognitively effective user interfaces for analyzing data using visualization methods. His book--Information Visualization: Perception for Design, now in its third edition, is the standard reference in the field. Dr Ware has been working applying visualization to oceanographic data for more than 25 years. Fledermaus, the leading software package for visualizing oceanographic data in 3D, originated in Ware’s lab as a development by him and his graduate students. His TrackPlot Software, designed to help analyze data from archival recording tags, such as DTAG is widely used by researchers in the field. In addition to showing the estimated trajectory of an animal it also allows for the visualization of acoustic patterns. Ware has served as a consultant for a number of projects involving large scale visualizations that have aspects in common with the proposed work. These include the Darpa XDATA program, and a program involved with electronic warfare. He currently holds a Department of Energy Exascale grant aimed at increasing the efficiency with which super-computing scientific models can be interpreted. Dr. Thomas Butkiewicz has 13 years of experience in computing research, focusing primarily on data visualization and other scientific applications of interactive computer graphics. Butkiewicz combines C/C++ and OpenGL programming languages to develop interactive data visualization software to assist researchers in a diverse range of fields including ocean mapping, urban spatial analysis, physical therapy, and hydrographic simulations. Beyond experimenting with new interactive techniques and designing perceptually effective visual representations, Butkiewicz's other research interests include image processing, computer vision, virtual reality, and stereoscopic displays. Dr. Timothy Moore has been working with ocean color satellite imagery for over 20 years. He has been part of the NASA MODIS Science Team, participated in work groups on reports for the International Ocean Color Coordinating Group (IOCCG), has been an instructor at many IOCCG and NASA workshops on using ocean color remote sensing in research. His research has focused on bio-optical algorithms for freshwater and marine environments, developed an optical water type framework as a way to integrate multiple algorithm tuned for specific waters, and developed mapped uncertainties for a variety of ocean color products, including NASA’s MEaSUREs program. His software has been imbedded in NASA’s SEADAS software and ESA’s BEAM software which are satellite processing systems for ocean color data. He has active grants working in Lake Erie on remote sensing of cyanobacteria blooms (NSF), and support to continue to work with ESA partners on a variety of ocean color projects (NASA). Dr. Gemma Carroll is a Postdoctoral Scholar at the University of California, Santa Cruz and NOAA’s Southwest Fisheries Science Center. Her research interests span the behavioural ecology and biogeography of marine vertebrates, with an emphasis on understanding how interactions between predators and their prey are influenced by rapidly changing physical environments. To address these questions, Dr. Carroll studies the distribution and feeding behaviour of a diverse range of animals (penguins, flying seabirds, tuna, demersal fish) through a combination of biologging technology, acoustic detections and at-sea surveys. She uses robust statistical modeling techniques and GIS tools to relate animal ecology to information on the distribution and quality of prey resources and oceanographic dynamics, in the hope of better understanding how ecosystems may change in the future.